Priyanka Chopra and Nick Jonas are one of the most talked about celebrity couples on the Internet these days. The actress, who reportedly got engaged to the American singer-songwriter last month, was recently snapped getting cozy with him at a party in Singapore earlier this week. And while several photographs and videos from that particular appearance of the two together had gone viral on the Internet, one of the most circulated pictures was the one where Priyanka can be seen sporting a white one-shoulder figure-hugging dress and Nick is clicked wearing a millennial pink jacket teamed with a white tee and black denims, as the two pose for the cameras. Well, it seems like the particular photograph is fake. It is a morphed version of two images shared by Indonesian singer, Afgansyah Reza, from Nick's concert. Reza had clicked two separate pictures with Priyanka and Nick and shared them on his verified Instagram account with the caption, "one of the most humble person i have ever met. Thank you for being so kind @priyankachopra. It was lovely to meet you" and "Had the pleasure to chat with the talented @nickjonas for a bit. Thanks for meeting me. Have a great show! By the way, this picture was taken by @priyankachopra. They’re so humble! #respect (sic)" respectively. 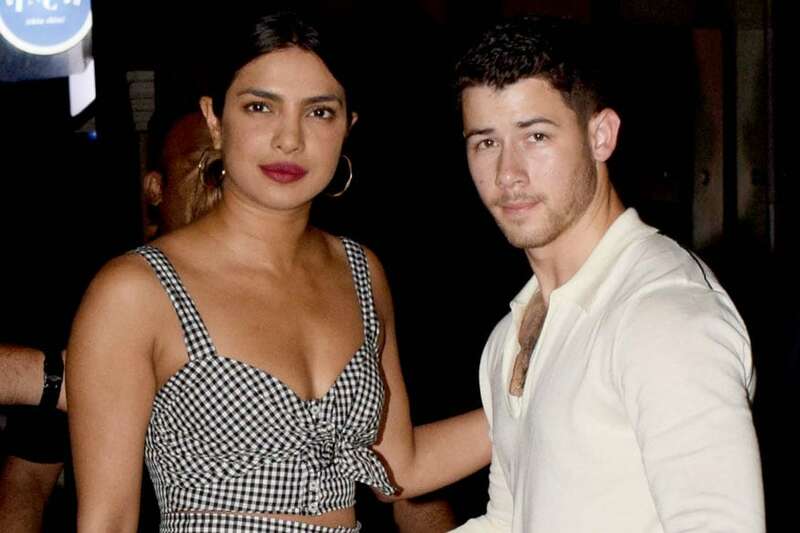 However, someone got his/her creative skills at work to photoshop the two images and create the one where Priyanka and Nick are snapped together, which later went viral on social media. But, on one hand while this particular image is a fake, the videos from the concert where Priyanka can be seen cheering for Nick and also cozying up to him, aren't. Meanwhile, Priyanka Chopra is back home and has already started filming her next Bollywood film The Sky is Pink.